Parking At the entrance to the Fort or anywhere along the approach road or adjoining streets. Grey Point Fort sits on the southern side of Belfast Lough, the first of two coastal artillery forts (the sister fort being the now demolished Kilroot Battery on the northern side of the Lough) to be constructed in order to protect the important port of Belfast from ‘attack by armoured cruisers, torpedo boats or block ships.’ There was also a fort at East Twin Island at the edge of Belfast Docks that was completed in 1912 to provide additional defence, as well as a signal station around the coast at Orlock Point constructed in 1914. Construction of the basic battery along with two gun barbettes was started in 1904 and complete in 1907, each housing a 6in Mk. 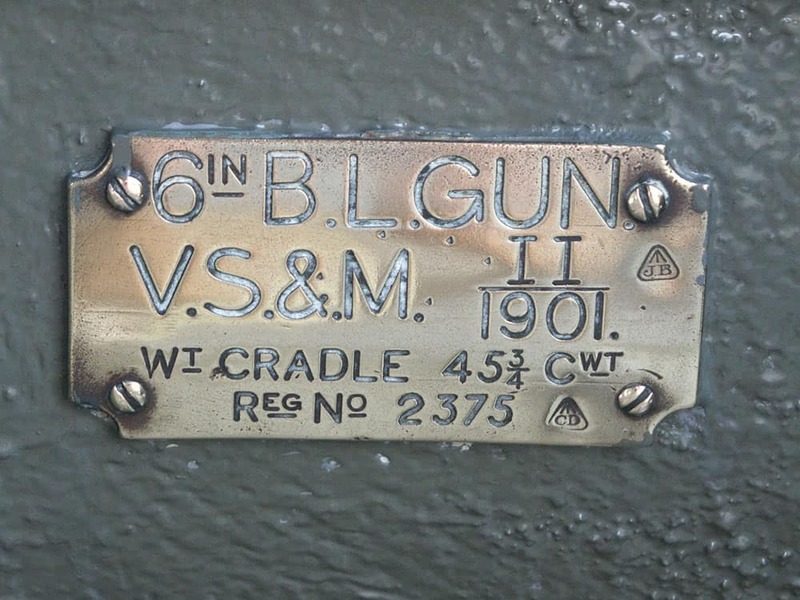 VII BL (6 inch, Mark 7, Breech Loading) gun with a range of 7 miles. The remainder of the ancillary buildings were completed in the following years. 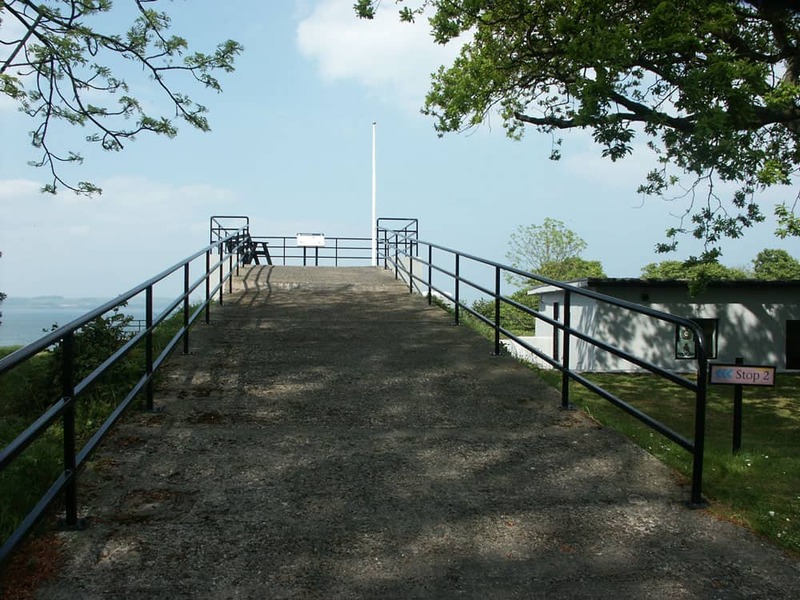 The Fort was actively manned throughout the 1914 – 1918 war, and throughout the inter-war years was used as the location of annual camps for regular and reserve units, making use of the camping ground to the south of the battery. This continued until August 1939 when the war station manning was ordered to protect against the new German threat. 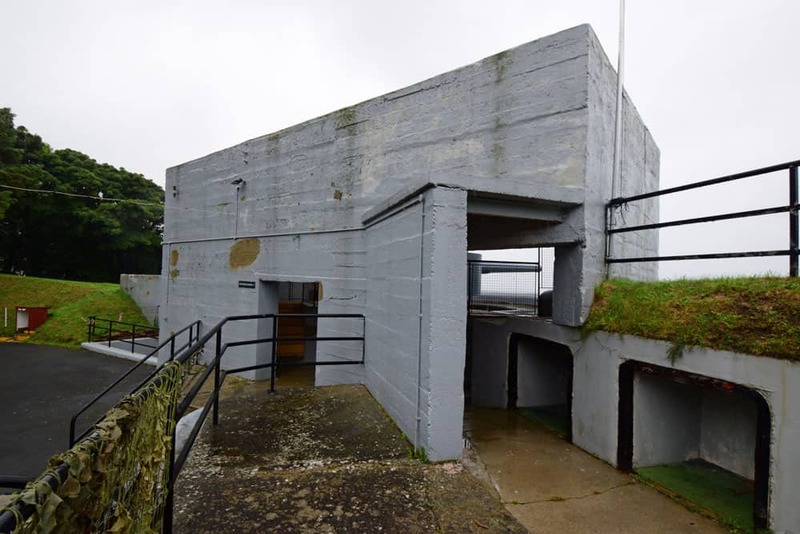 This saw plentiful modifications to the Fort, including new barrack accommodation (1939) and reinforced shelters constructed over the two gun positions (1941). The fort was, however, returned to ‘care and maintenance’ in 1943, effectively placing it back into reserve. The for remained equipped until 1956 when the War Department considered coastal artillery to be redundant in place of advances in air power. While none of the Northern Irish forts fired a shot in anger (false alarms excluded), their presence was no doubt a deterrent to enemy ships and submarines during both World Wars. 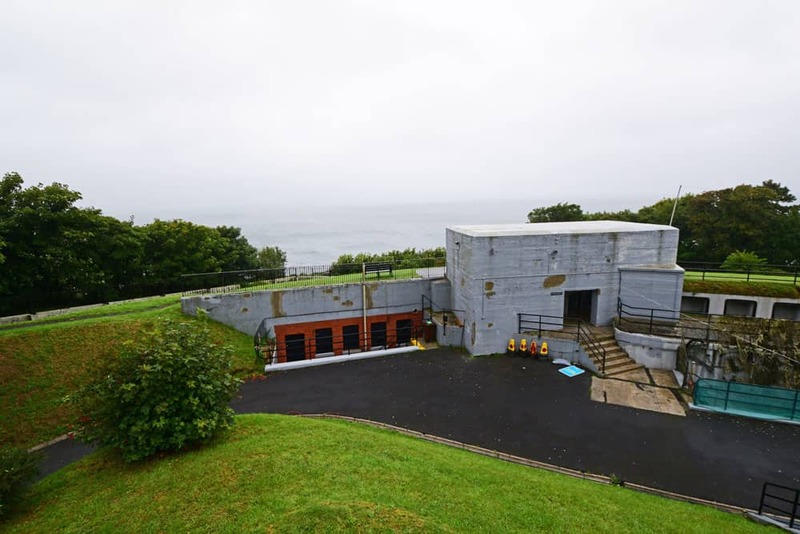 In 2018, Grey Point Fort remains one of only a few well preserved coastal artillery forts of the early 20th Century. 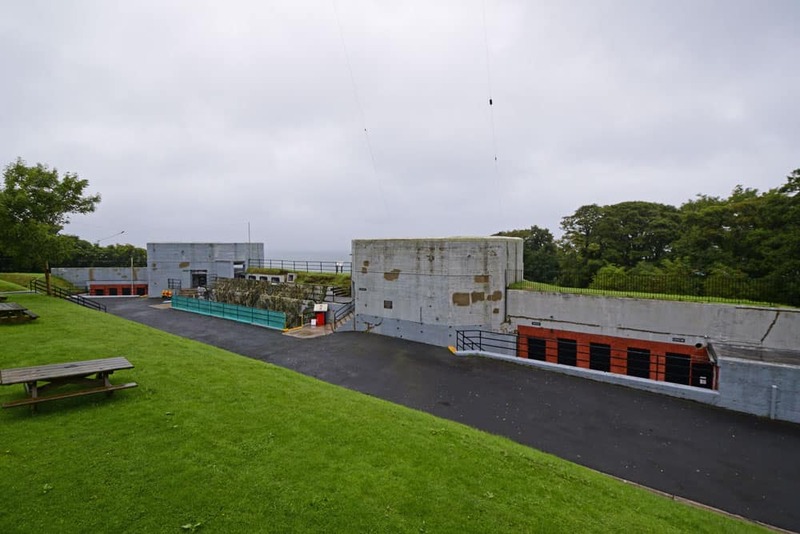 Grey Point Fort (GPF) is owned and maintained by the Northern Ireland Environment Agency (NIEA) but is run by a team of volunteers from the GPF Amateur Radio Society (GPFARS). I first visited the Fort decades ago, as a child, and have returned sporadically ever since. 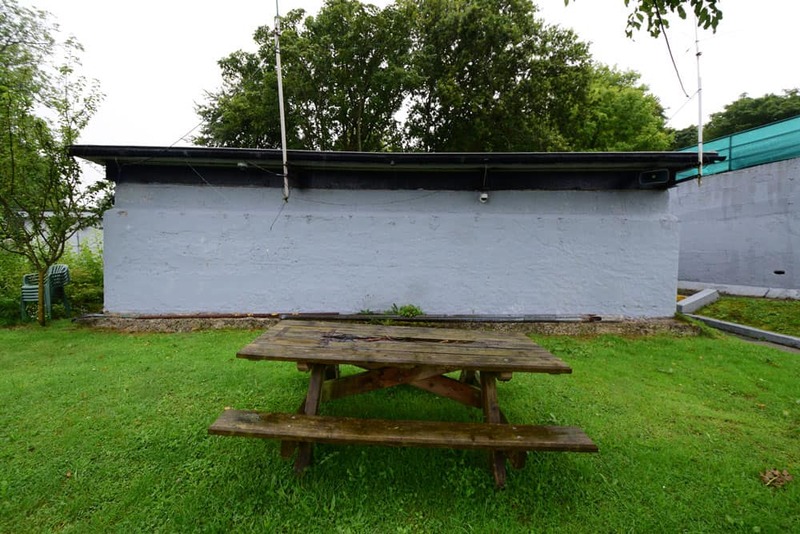 The Fort is reasonably well maintained, but it is evident that, like many of these locations, funding is tight. When you arrive at the Fort parking is easy in the free and seldom busy car park. On either side of the car park are the first two buildings related to the fort. 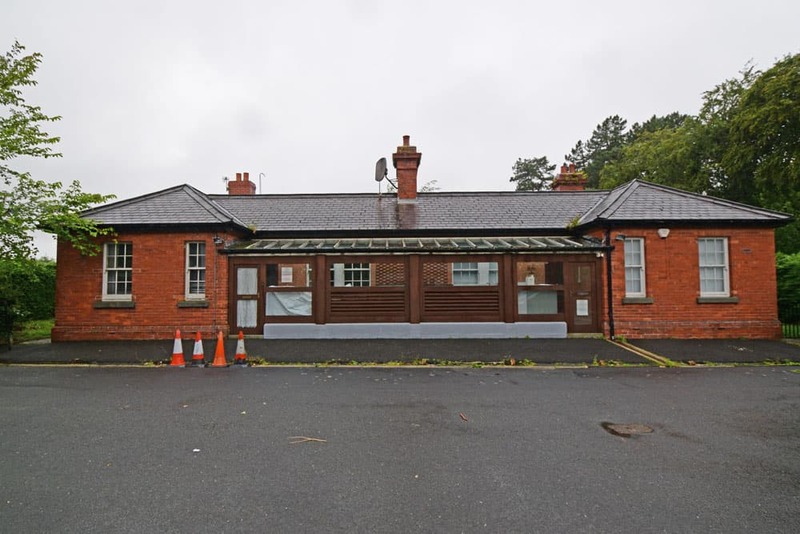 On your left as you enter is the red brick, symmetrical Guard House and quarters building, built prior to 1915 (when it appears on plans) and on your right is the concrete engine house, now used for NIEA machinery. 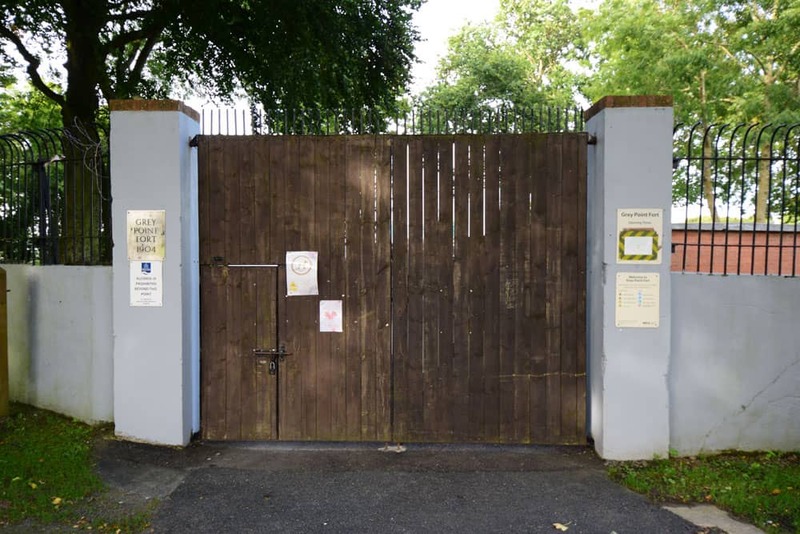 While opening times are listed online (there are somewhat contradictory times published across a number of pages) the only real indicator as to wether the Fort is open that day or not, is if the gates are open or shut. On the ironically grey and damp day I visited last, the gates were open. Gates closed = Fort closed. Opening times appear somewhat sporadic, especially during off-peak season times. I turned up on the 2 September to find the Fort closed, so had to return the following day. The ethos of the Fort is really just have a wander. There is no set route to follow, and few places off-limits. There are normally a few volunteers around the site if you wish to ask questions, but in my experience they are more interested in their amateur radio club that seems to have an overbearing run of the site. As you enter the Fort, you realise how compact a site it is. 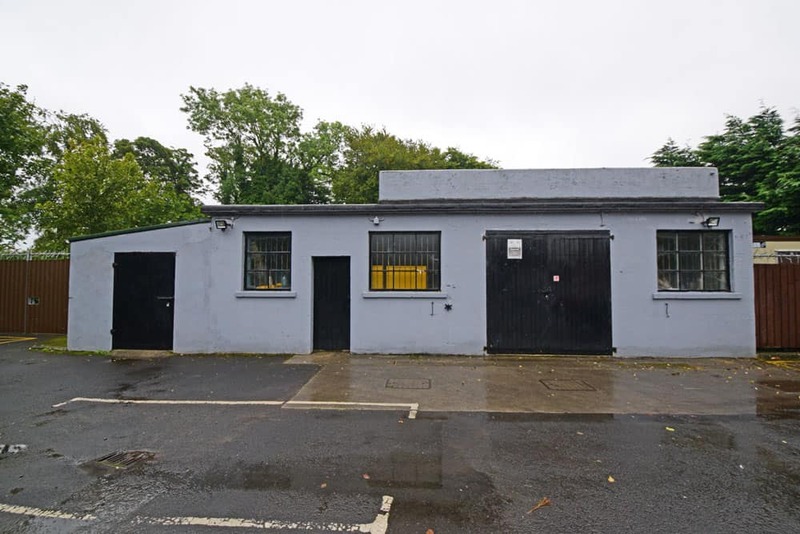 Immediately on your right is the Master Gunners Store, one of the close buildings on site, and judging by the small trailer parked outside, probably used for volunteers lawnmowers and such like. Immediately in front of you is the radar ramp and platform, constructed in 1953. This elevated position makes a good viewing platform across Belfast Lough and the rest of the Fort. 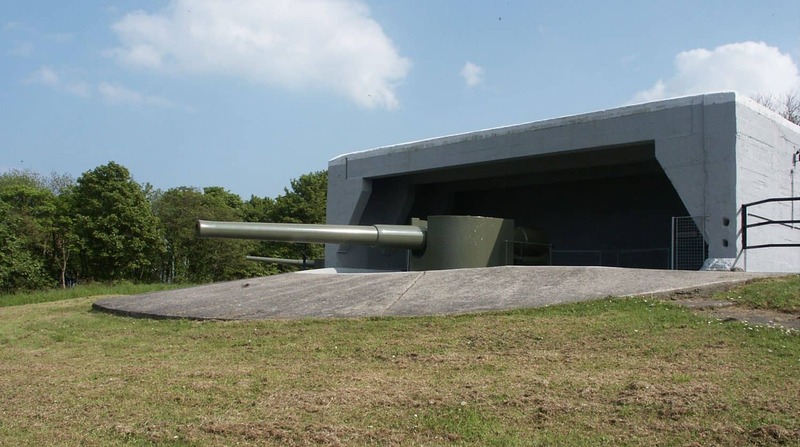 Despite the gun positions having 1940 reinforced shelters constructed over them, the remainder of the structures are as they were constructed between 1904-1907, and as both positions have guns mounted you really get a feel of the power that coastal artillery batteries such as this must have had. The guns are in remarkable condition, having been sympathetically restored by members of the GPFRAS. Gun No. 2 was installed on 3 April 1993 and is a 6in Mk. II BL manufactured by Vickers Sons & Maxim (VS&M). Both guns are original 6in guns, having been donated from Fort Mitchel and Fort Davis in County Cork. No. 2 gun on a wet September afternoon. No. 1 gun in the background. The reinforced gun shelter over No. 2 emplacement. Note the earlier ammunition recesses in the wall. 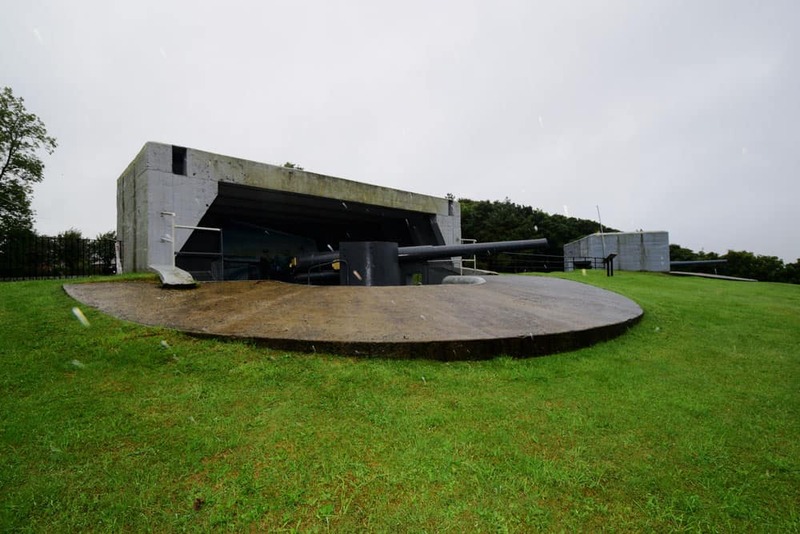 Underneath each gun position are the original shelters and magazines for ammunition storage. Sadly these have not been open during any of my visits, but I think they house the WW1 and WW2 museum. I often think to get a real feel of what a fort would have been like, you have to experience the conditions inside the magazines and shelters. Early 20th Century coastal artillery magazines were interesting places, with seperate shell and cartridge stores, mechanical lifts to the surface and strict rules on ammunition handling. 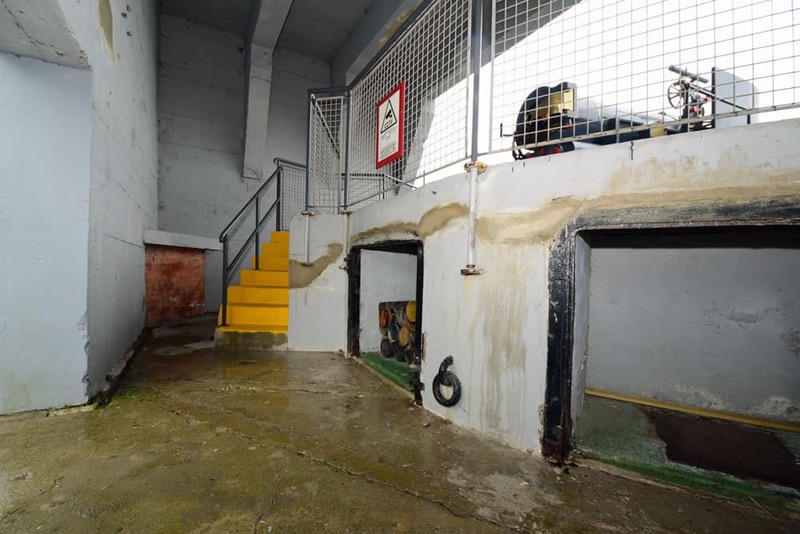 The rudimentary public toilet facilities are located down the steps here. Moving on the the two buildings at the centre of the Fort and there are the Battery Commanders Post and the Battery Observation Post (BOP). 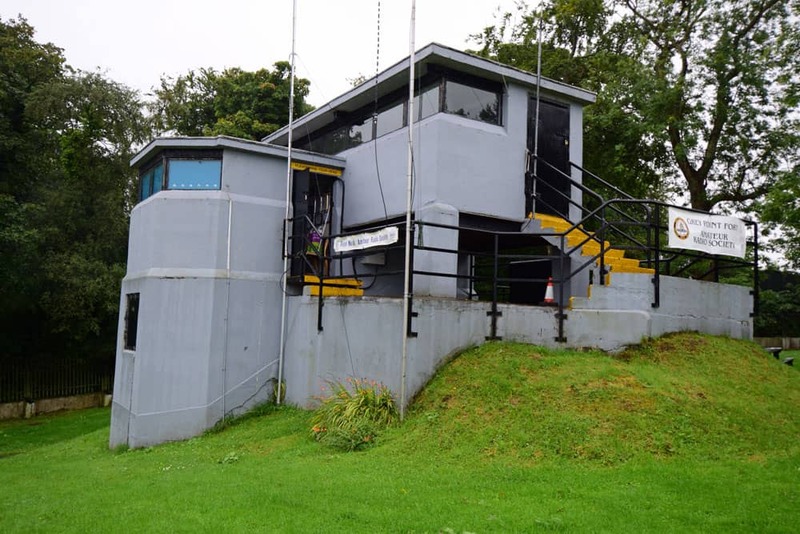 Both are central to the operations of the amateur radio society that runs the site, but there are still interesting elements for visitors to see. 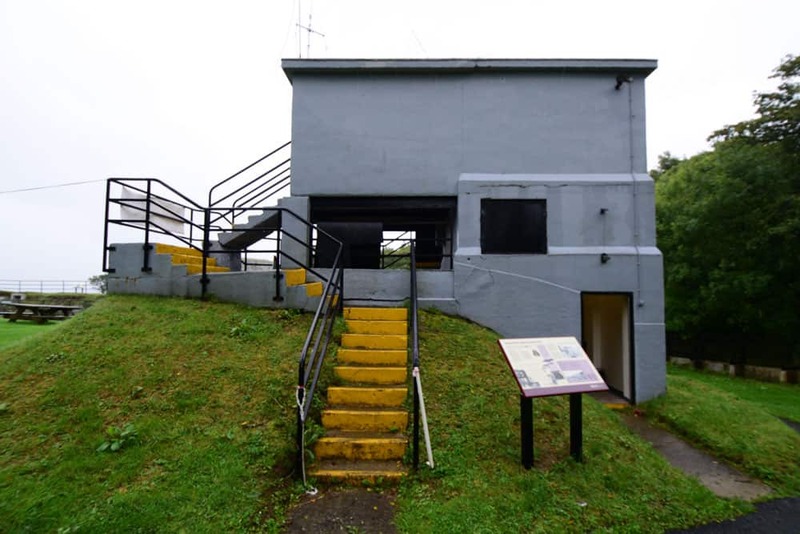 The Battery Commanders Post would have been constructed along with the two gun positions in 1904 and was a hardened shelter with large observation window (no blocked up) from which the wartime operation of the battery would have been conducted. 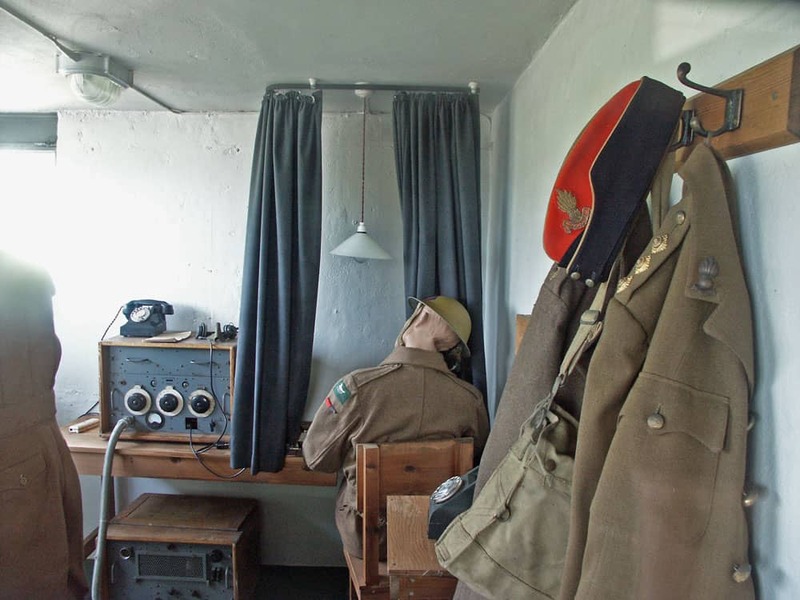 Currently the BCP is used to house the extensive WW1 and WW2 radio museum, a project of passion for the volunteers at GPF. It is an impressive collection of military and some civil communications equipment, most of which I am led to believe is still operational, having been collected and restored by members of the GPFARS. 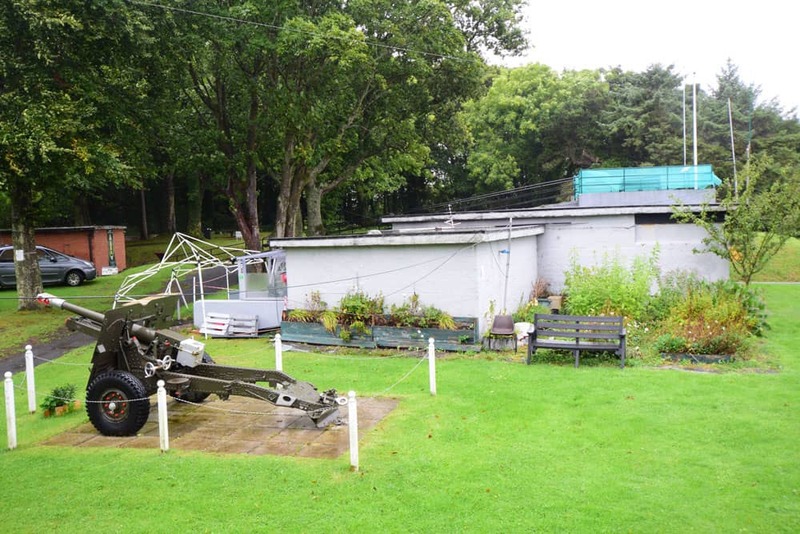 The restored 25 pounder field gun also proudly sits outside the BCP. 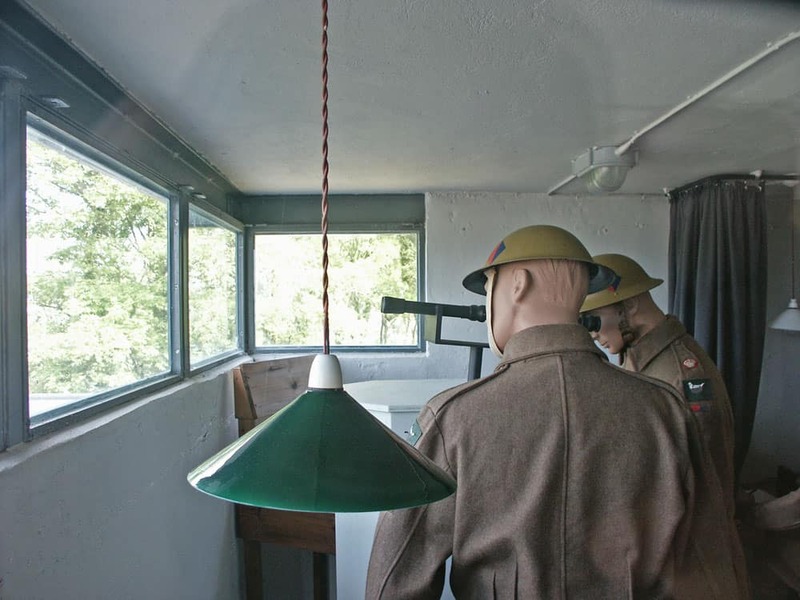 In 1936 the new Battery Observation Post (BOP) was constructed to identify targets and control the two guns. 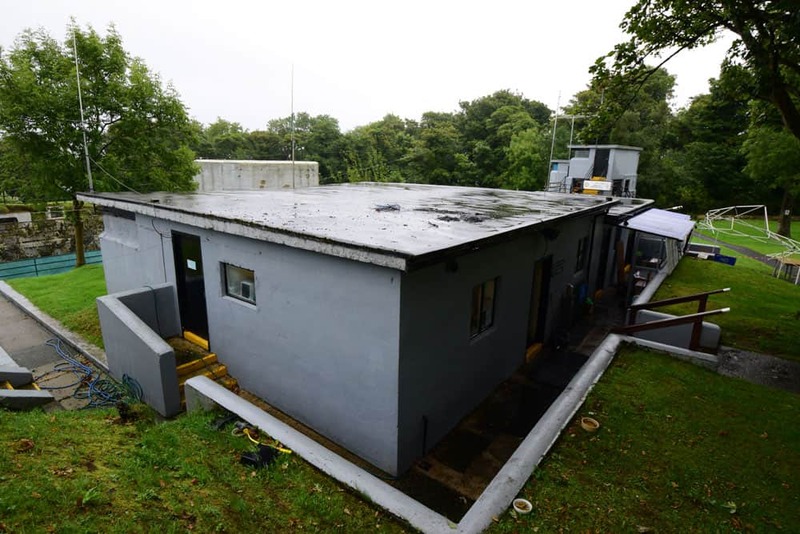 These days, the BOP houses a display showing how the BOP may have been operated, and also this is where the GPFARS radio room is, and the plethora of wires and antenna radiating from the building is testament to this. There isn’t much else to see here. Grey Point Fort should be a gem in the heritage of Northern Ireland. 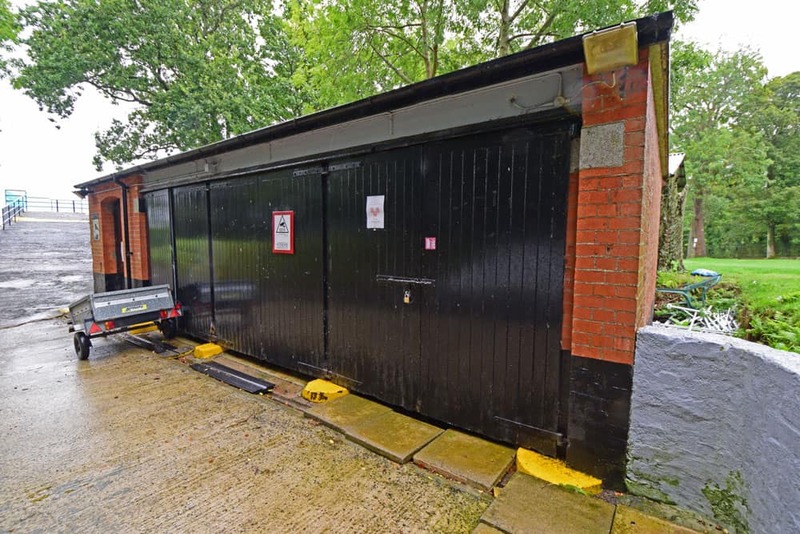 But I can’t help feeling that a lack of official funding and the take over by the GPFARS has led to the site being a bit of a ‘retired mens club.’ It needs a good tidy up, updated visitor information boards and more professional management. There are a number of events run throughout the year, including reenactments, gun firings and military vehicle shows, and these are all very positive. On a positive note, the guns are an excellent asset, and the state of the buildings is also very good. Access for those in wheelchairs or with prams and buggies is restricted, but this is solely due to the site remaining relatively unmodified for such things. 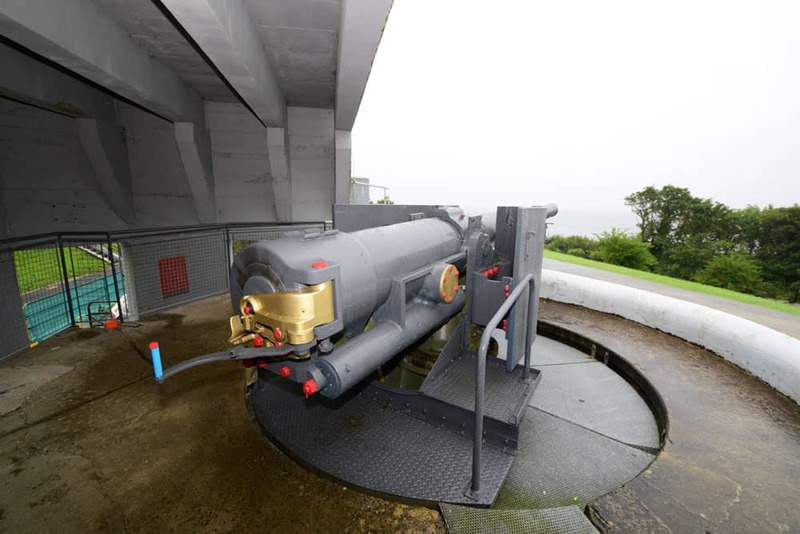 Still, worth a visit if you are in the area, or even better, if you are walking the scenic coastal path why not pop in for a picnic in front of the guns.